Josiah Damm (MX) and Tanner Waite (Surf) hold their number one plates in the Industry Class. 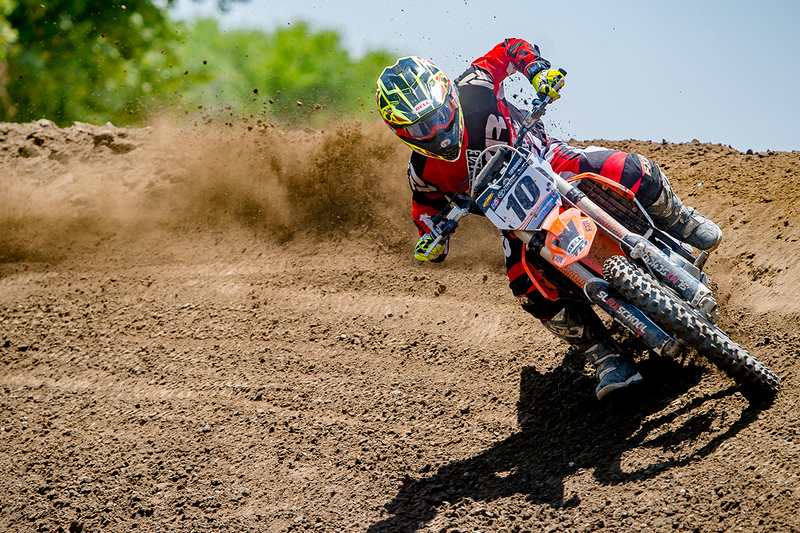 The United States is home to some of the most prestigious motocross races in the world. Racers migrate to the AMA Nationals to test their chops with the fastest locals. Plus, Supercross in the USA is the model for most other similar events worldwide. Even the Grand Prix circuit comes to the States to compete on American soil. Most amateur and non-premiere races try to follow the standard setup. Winners are picked based off moto scores and champions are crowned based on points points earned. A better finish over the long haul equals a better position in the championship. Professional surfing uses heat to whittle the competitors down to the final heat. Scoring is subjective, based on the bird’s eye view of a panel of judges. But, there is a series of events that add up to a Championship when the wins and loses are tallied. Surfercross tries to wed the two into a two-day showdown. 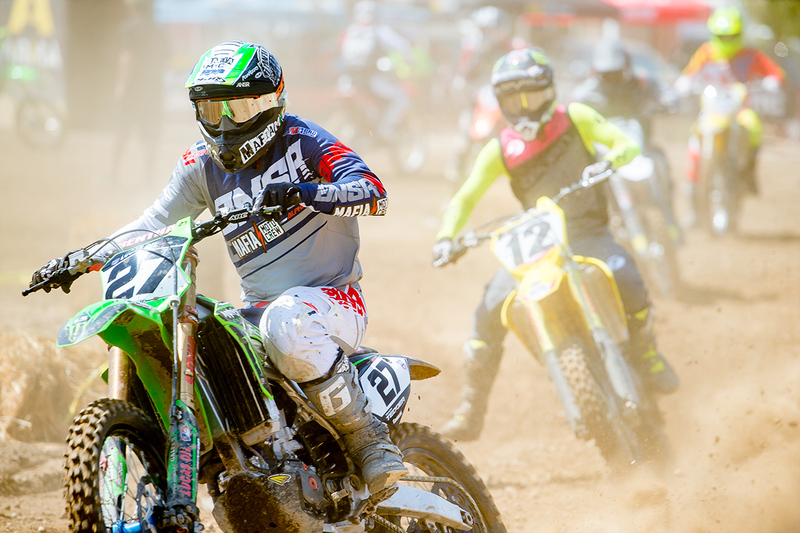 MXA traveled to SoCal’s Trail 6 surf sport and Milestone Raceway awhile back to enjoy two days great surfing, great racing, bad surfing and bad racing. Surfercross is not measured in prestige, but in the enjoyment of the participants. To give the less-fit a chance, the participants of this event are split up into two categories, professional and industry. In each category, a two-man team is formed where each motocross rider is assigned a surfer. The teams are randomly picked out of a bucket to level the playing field of talent. The racer with the most skill surfing and the surfer that can rip on a dirt bike make for the best team. Previous winners include James Stewart, Josh Hansen, Justin Brayton, Josh Grant and Cooper Webb. 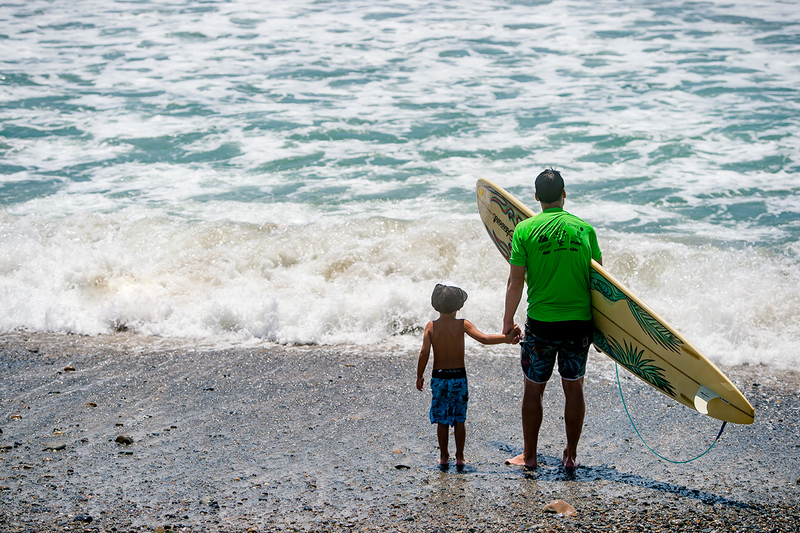 Pro surfers include Sunny Garcia, Ryan Sakal and Mark Garcia. Sadly, few athletes are very proficient in both disciplines. Think of this as a three-legged potato race with dirt bikes and surfboards. Sean Lipanovich was among the fastest Pro racers. Ivan Tedesco raced hard, but his teammate Eric Sorensen couldn’t keep the same pace. The first day was spent at Milestone MX on the main track. A fair amount of surfers didn’t have bikes, so Husqvarna brought out loaners. The first thing determined were the teams. Everybody was split into two categories, pros and industry people. From there, teams were assigned. Every racer was assigner a surfer. The motocross segment of the event was separated into two motos and the team who would earn the most points overall between both riders would win. A great rider with a horrible surfer wouldn’t place anywhere near as high as a mediocre rider with a good surfer or vice versa. The team race was set up so that a team would have to do a total of 12 laps. One member would do a lap and transfer the relay to his teammate. Then the teammate would do a lap and relay back to the first teammate. Rinse and repeat, 10 more times. Those teams who were underfunded and only had one motorcycle (a la privateers of the event) would swap motorcycles, while teams where both riders had a bike could wait on their own machines. The first race was for the industry people. There are Civil War reenactments that aren’t as messy as the spectacle at Milestone. The spectrum of riders ranged from “I’ve never seen a motorcycle before” to “I won a Supercross Championship.” Crashes were frequent and a few riders collided or committed to a jump they weren’t ready for. The racing was still all in good fun. Team number three with Mark Moss and Austin Prida would win the first moto. For the Pro class the disparity was more obvious. A Pro rider would turn a quick lap and upon swapping with his teammate could wait up to five minutes for the return of his teammate. In the end, Carlen Gardner and Ryan Sakal would win the first moto. Who is Carlen Gardner? 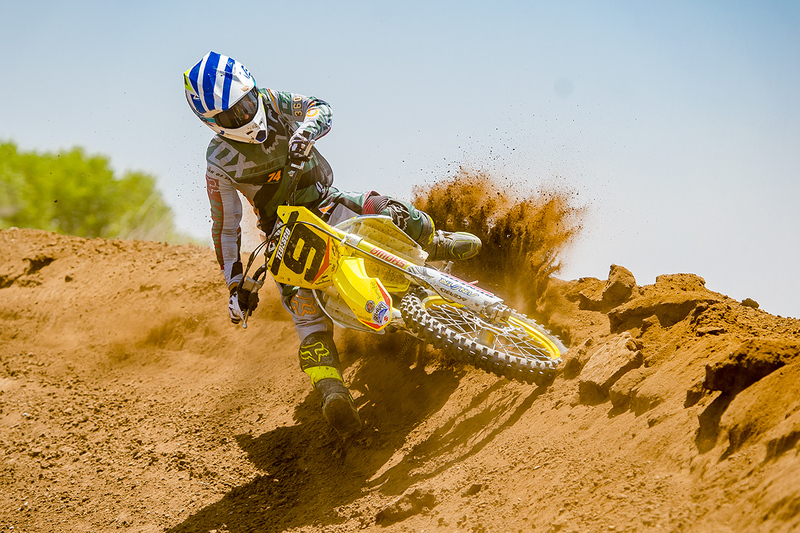 He is an 18-year-old privateer that raced the first three rounds of the AMA Nationals. His season-best was 23rd overall at Thunder Valley. The second set of motos were a little crazier than the first. Bikes were crashed and a thumb was lost. Husqvarna’s Andy Jefferson had a lot of bikes to clean up. Nick Wey tries to avoid being caught by Jake Weimer. Day number two was spent at the beach. While surfing looks easy to do, trying it was a whole different issue for many of the motocross racers. In the past it was possible for a motocrosser to do well in the durfing part of the competition by just standing up once. Today, it is a little tougher. 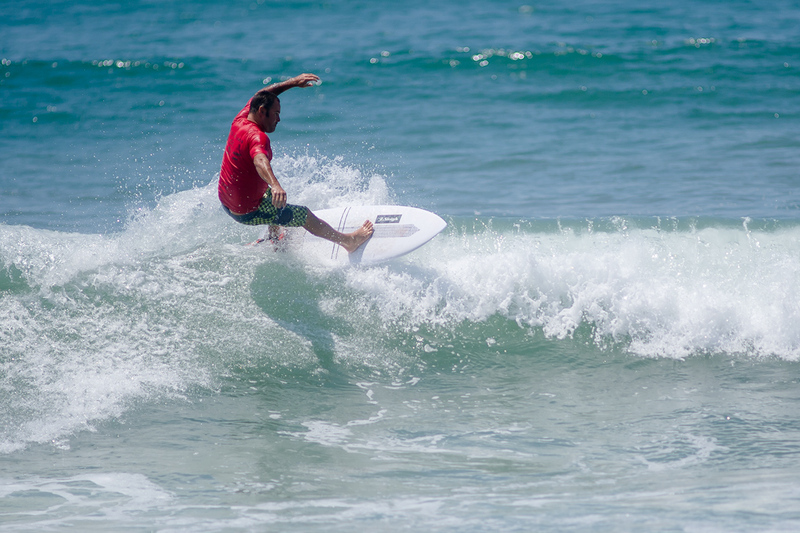 The surf format had three judges who would give each team member a score. The best combined score would win the heat. It was the motocrossers chance to look silly. Some contestants could barely stand on a surfboard, scoring a tenth of a point or less. People didn’t lose any thumbs, but they did lose their dignity flopping around on top of a foam chunk. The final score was determined by whatever teams had the best combined scores in both surfing and racing. 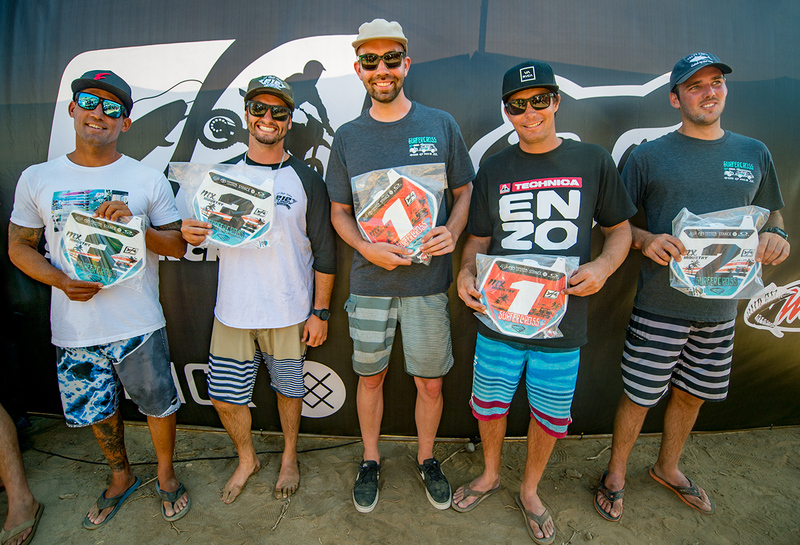 Sunny Garcia and Ricky Yorks won the Pro class while Josia Damm and Ryan Corum won the industry class. In the end it was highly entertaining and no motocrossers drowned. Sunny Garcia is the winningest contestant here. 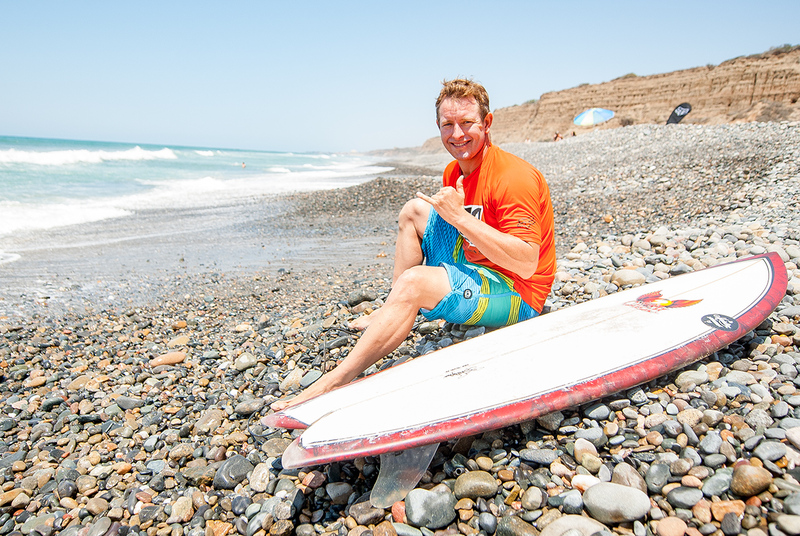 KTM tester Mike Sleeter is also a fairly good surfer. Jeff Matiasevich came out to race and surf. 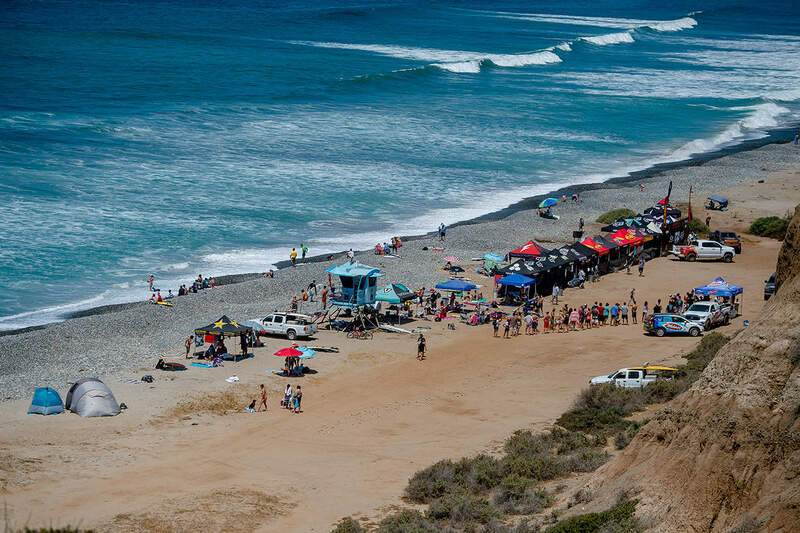 The surfing portion was held at Trail 6 in San Onofre.